Posted in Holiday, Indie Polish, Mainstream Polish, makeup, Manicures, pictures	by Jessica W.
I used a combination of tutorials from Hey It’s Emily, MadeYewLook, and Glam & Gore. (Please check each out, they are super easy to follow!) I should have added more veins around and more green tone to the look but that’s okay! 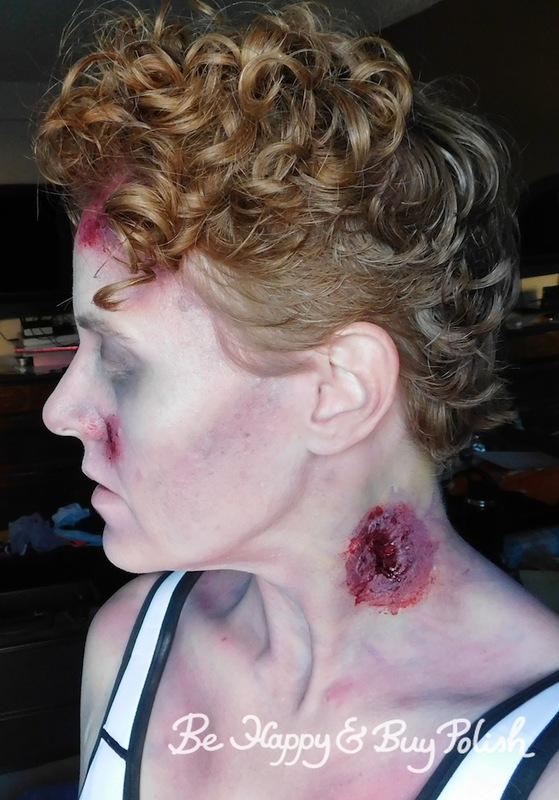 I thought especially for how hard it was to see what I was doing for the neck wound, it came out particularly well. 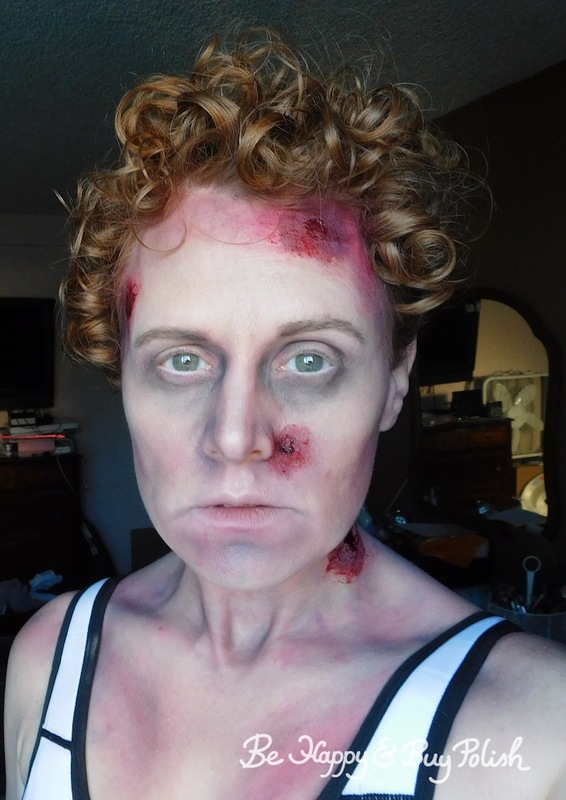 Side note: I did not use much scab blood at all, considering I was about to run a 5k and knew I’d be sweating like the dickens. 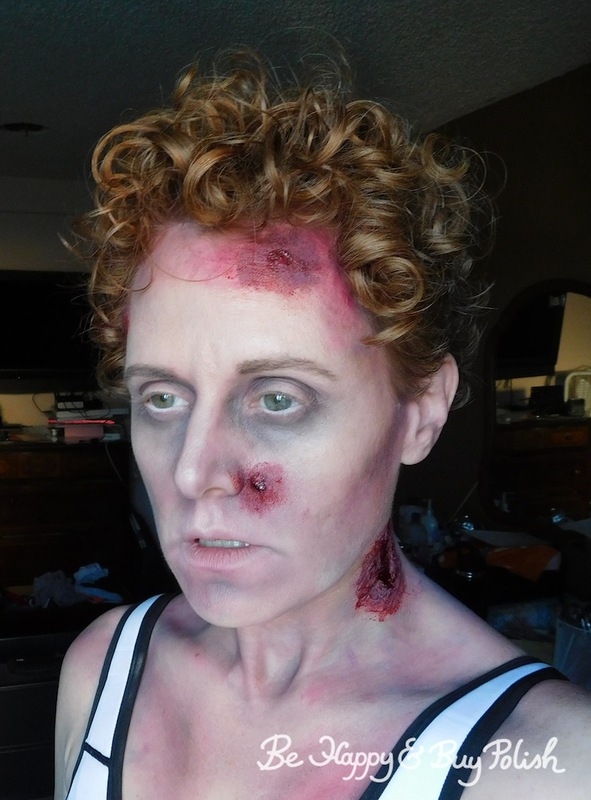 Pssst….If you missed it, be sure to check out my skeleton makeup look while you’re here! For my nails, I had just received the 6 Harts polish and it’s one of those “prugly” (pretty ugly) colors that I just love and it was perfect for kind of creepy and bloody nails. 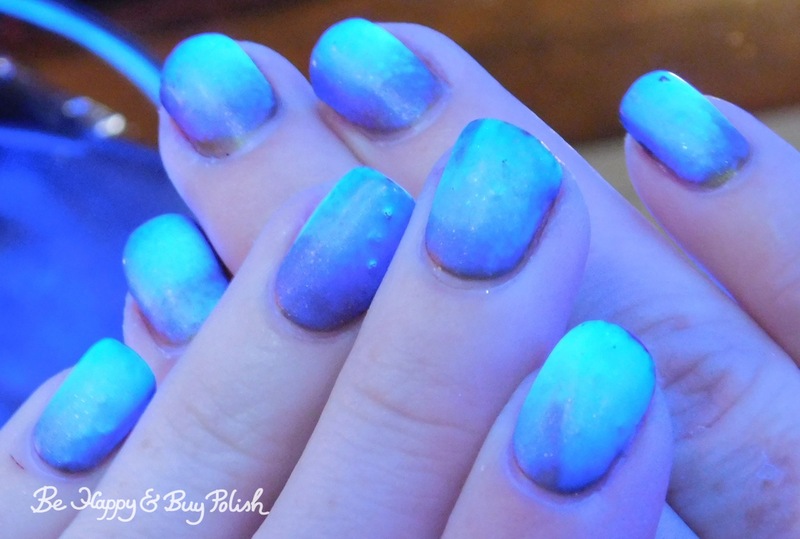 I’m not happy that pieces of my sponge stuck to my nails while I was creating the gradient, but hey whaddya gonna do? If you’re into Halloween, I hope you have a safe and fun time, whatever it is you’ll be doing.